Essex Junction, Vermont, is where the Central Vermont's branch to Burlington joins the CV main line. 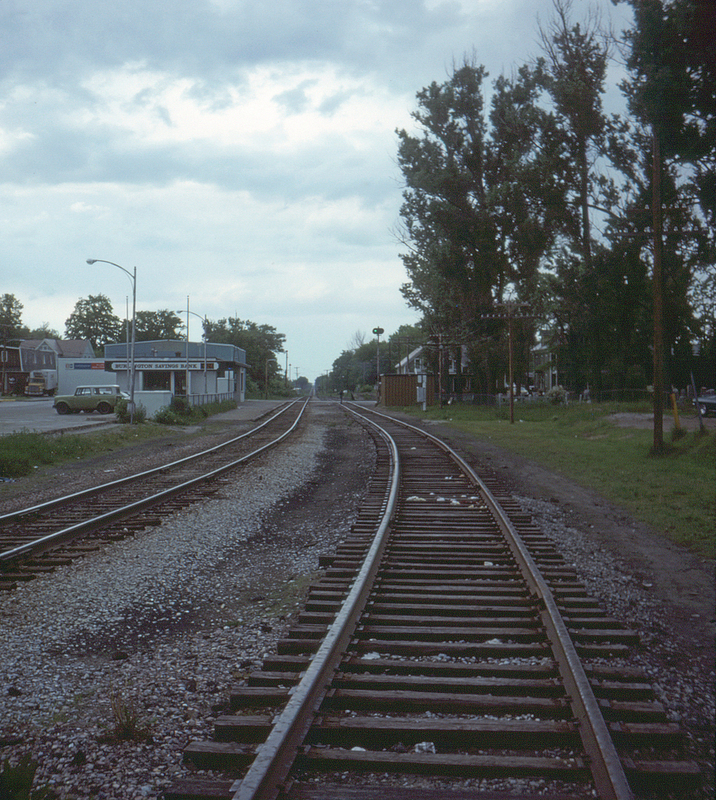 The track at right is the Burlington Branch, with the main line at left. The station itself is a simple block wall structure, and apparently a train order agency judging by the train order signal to the right of the track.